Over the last two years, changing weather patterns have brought havoc, misery and dangerous uncertainty to Ethiopia, and other countries in Sub-Saharan Africa. The consensus view is that climate change has begun to unsettle weather behaviour, creating unpredictability. In underdeveloped countries where most people lead a simple life based on subsistence farming and bartering goods, predictability of rainfall is absolutely vital. If rains don’t arrive when they are supposed to, crops can die and vital harvests fail to materialise. The delicate balance of life can be tuned on its head. That is exactly the position that many Ethiopian communities find themselves in as we enter 2018. Their problems are further compounded by limited capacity to absorb emergencies. The Ethiopian government has worked diligently in the last decade to buttress the country’s disaster preparedness, stockpiling reserves of food and putting better systems in place to handle emergencies. Despite support from humanitarian partners, the scale of the problem currently facing the nation, and the continuing uncertainty in weather behaviour, has stretched these resources to the absolute limit. In October maize, haricot beans and edible oil were distributed to 6000 in Siraro. In December food supplies were distributed to a further 2580 people. ChildFund has also been busy in a host of other ways, as it helps support communities through this crisis. Although food supply is the most immediate concern, there are many other issues which need to be addressed. ChildFund has provided training to over a hundred health care workers in Zeway Dugda and Dodota. Workshops have been also held to deal with problems and ensure implementation of humanitarian relief is as efficient and targeted as possible. In times of drought peoples’ desperation can lead to the sourcing of unsafe water and a drop in sanitation standards, due to the scarcity of water, an situation which needs to be carefully managed lest it create conditions ripe for the contraction of waterborne disease. In the jargon of humanitarian relief work, this is know as WASH (Water, sanitation & hygiene), and is a very important part of managing emergency responses. ChildFund is working with partners in Fentale and Boset districts to help support WASH facilities for over 25,000 people there. As a result of these efforts, nearly 2.5 million aqua-tabs (water purification tablets) have been made available, and over 10,000 Jerry Cans supplied, to help ensure families are able to access and transport safe water to their often remote communities. Water tanks have also been installed to increase storage capacity. A third major factor in dealing with emergencies like the Ethiopian drought, beyond the supply of food and safe water, is managing the chaos caused by internal migration. When areas become barren because of drought, families are often forced to move. The scale of the drought is such that in Ethiopa, an estimated 1.5 million (as of 30/11/17) have become internally displaced. For the children whose lives have been turned upside down, that means their education becoming seriously interrupted. 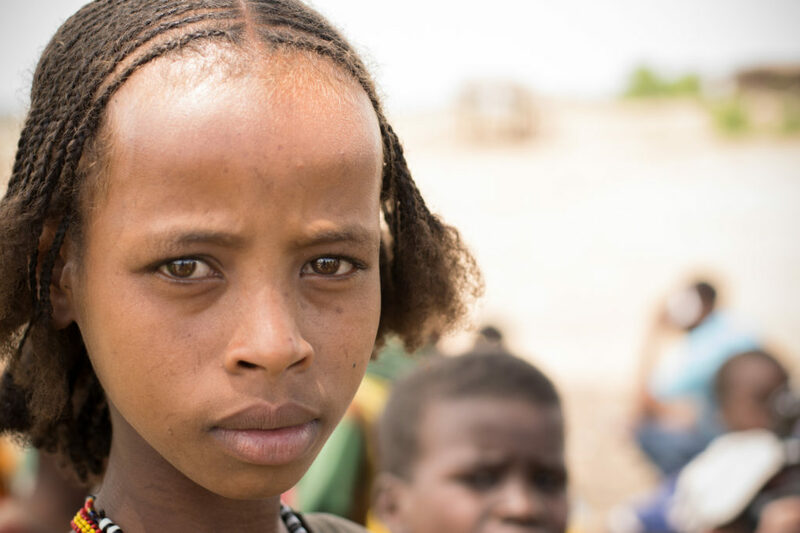 In the Oromia area of Ethiopia it is estimated that at least 110,000 of school age have suffered this kind of damaging interruption to their education. Without intervention, it is feared many of these may never return to education, so its hugely important to deal with this issue. The Ethiopia government is currently working with international humanitarian partners like ChildFund to address these serious problems, assessing the specifics of what must be done and up-scaling relief work to address the needs of children. Its clear that Ethiopia has complex humanitarian needs and while the Government is working hard to support its people though this now protracted crisis, they need assistance from the humanitarian community to manage the myriad of problems caused by the drought. People will be praying for rains to come this year but we cant afford to play chance with their lives, they need our support now, and the global community need to keep this issue firmly in their sights throughout 2018.